Step your portfolio up a notch with these pro tips. Design portfolios can be tricky to get right. No matter how many portfolio examples you've looked at, sometimes it's hard to apply the amazing inspiration in front of you to your own work. 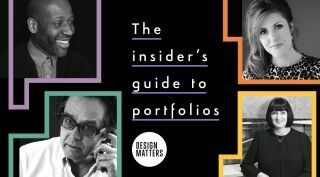 So what is it exactly that top design executives are looking for in a portfolio? And what – in turn – might your next interviewer want to see from you? We spoke to designers at Pentagram, Superunion and BMB to glean the seven tips below. We also spoke to Michael Johnson at Johnson Banks. For his insight, see our separate list of his portfolio dos and don'ts. This is an edited version of an article originally published in issue 278 of Computer Arts, the world's leading design magazine. Buy issue 278 or subscribe here.